I'm always looking for simple ideas to do with my two year old. This simple handprint crabs are easy and very effective to make. 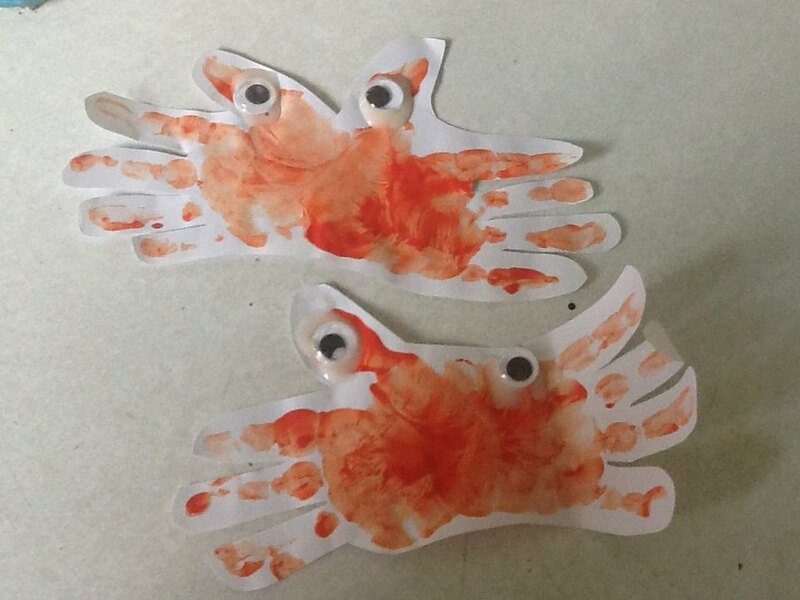 All you need to do is paint hands orange and pop them outwards on each side, then pop the eyes on and there you go handprint crabs.